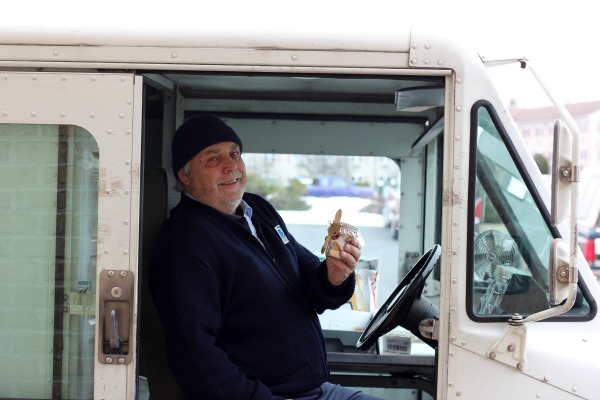 cookie, cheesecake or pie! I like to call it my "random acts of sweetness". Classic Cheesecakes. I had an idea. 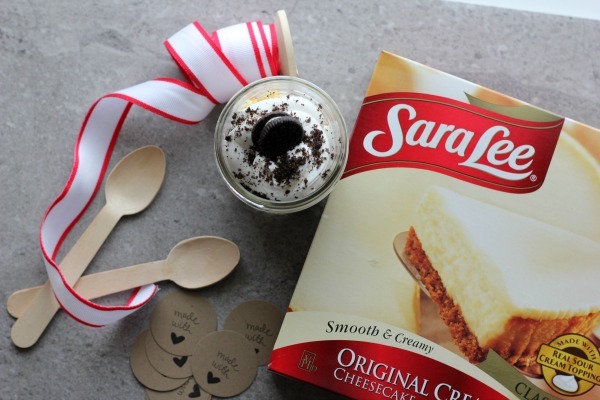 of the cheesecakes would be perfect for my next round of random acts of sweetness. 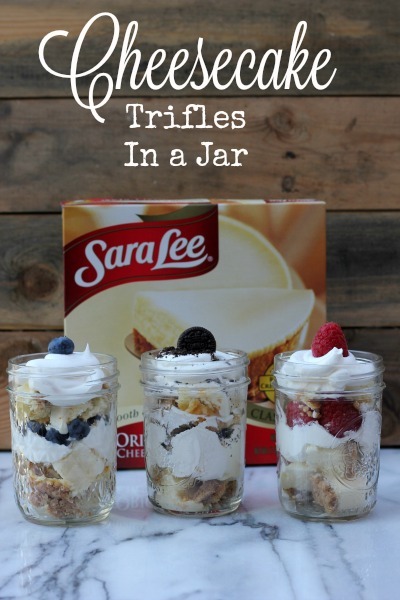 Cheesecake trifles in a jar! Cream Classic Cheesecake, whipped topping, fresh fruit, cookies and pint size jars. paint to the wooden spoons. Now for the fun part! Random acts of sweetness! but since cheesecake is perishable do not do this in warm temperatures. 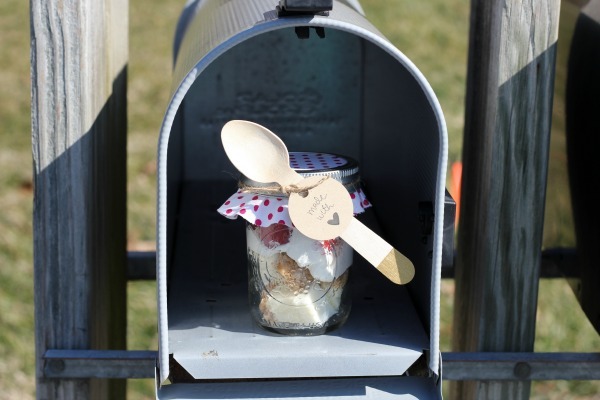 I also gifted a cheesecake in a jar to the mailman at my office. He loved it! Performing random acts of sweetness is so fun! I also handed them out to some neighbors and friends. Everyone agreed. 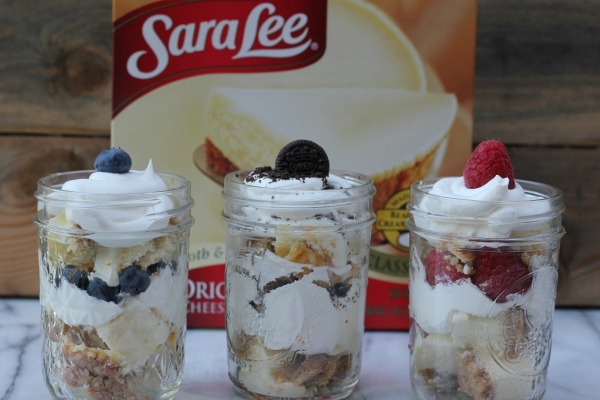 Cheesecake trifles in a jar are fun and delicious! in your life. It's as much fun for you as it is for them! 10 - 15 minutes to soften just a bit. 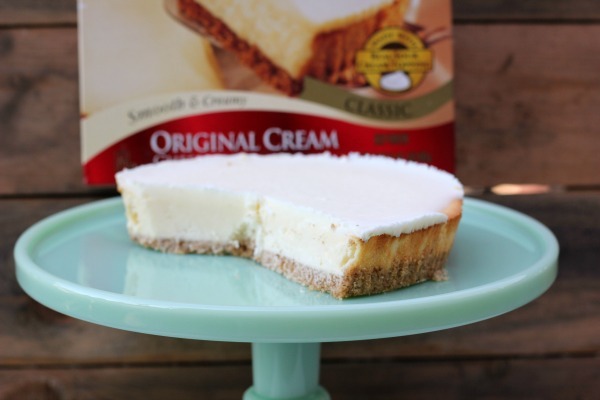 Slice cheesecake and cut into bite size pieces. Spoon whipped topping into a piping bag with round tip. and fruit or crushed cookies. Repeat layers. 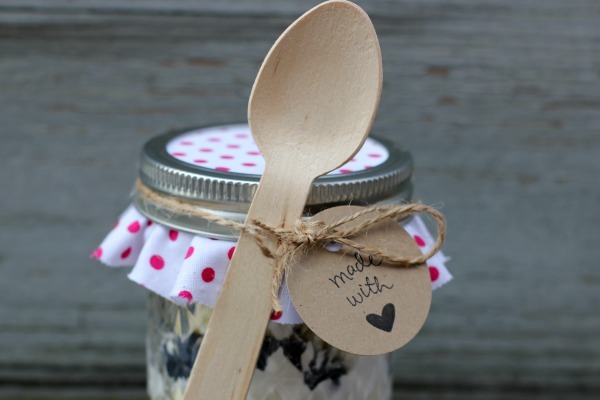 Perfect for a picnic, pot-luck or random acts of sweetness!